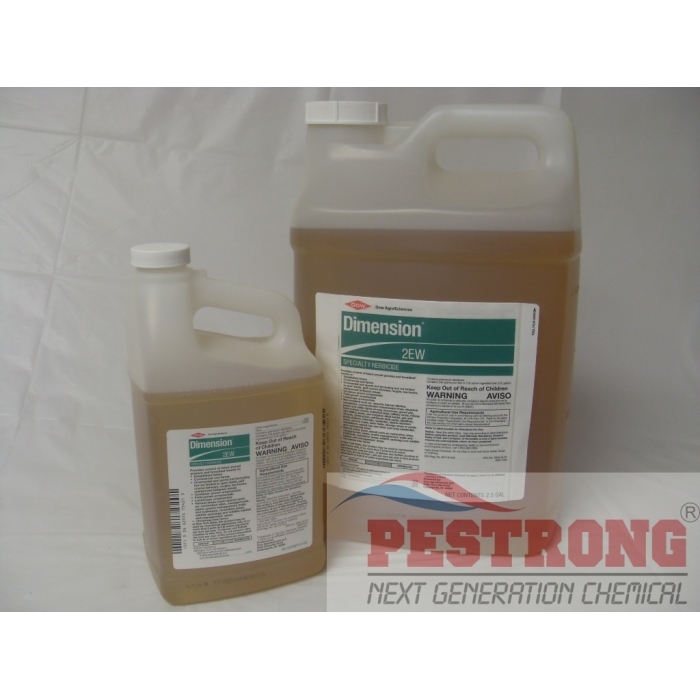 Where to Buy Dimension 2EW, Dimension 2EW Dithiopyr - 64 Oz - 2.5 Gallon - $124.95 for Sale with Fast Free Shipping! 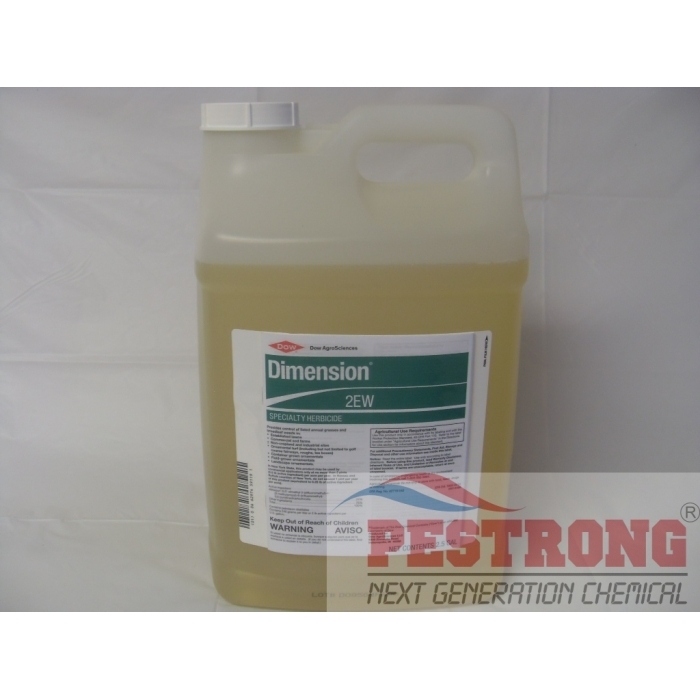 Dimension 2EW Dithiopyr - 64 Oz - 2.5 Gallon provides outstanding pre-emergent and early post-emergent control of crabgrass. By buying this product & leave product review you can collect normally 57 reward points as a voucher of $5.70(1%). 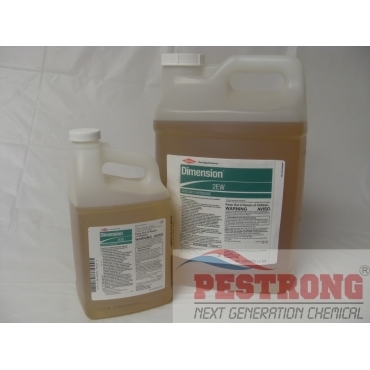 Finale Herbicide Fast Nonselective - 2.5..
Dimension 2EW Dithiopyr Pre-Emergent Herbicide is used for early postemergent control of crabgrass and preemergent control of over 40 grassy and broadleaf weeds in established lawns, golf courses, field-grown nurseries, landscape ornamentals and more. Season-long control of other grasses and broadleaf weeds. 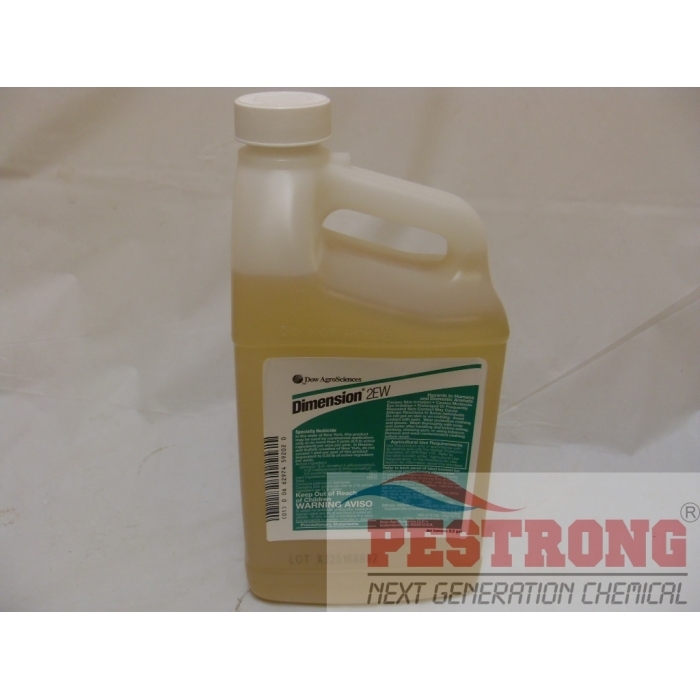 Easily mixes in spray tanks and is compatible with registered herbicides. Dimension 2EW works like a charm, and I've seen it deal with Poa Annua, woodsorrel, clover and crabgrass. Pestrong's prices are very competitive and the shipping was surprisingly quick. I would recommend everyone to try this for themselves before calling in the companies. This product is very effective against crabgrass. I would recommend this to other people with the same problem as well. Even though the price has gone up recently, its a very good deal. As usual, this product works extremely well. The price has jumped up quite a bit in the last 2 months, but I will continue using it as long as it does not go up anymore. This product is well worth the price. Even though it just went up $5.00 per half gallon, I will still continue to buy it. Once again I am very satisfied with this product for use in turf and desert environments. It will typically last 6 months and that is great. The price is also fantastic. This pre-emergent works great at controlling most broadleaf weeds in desert and turf environments. It is also the best price I have found anywhere. This is the cheapest price I have found for this. It costs more than what I was using before. However, this product is more suited to the weeds I need to control in this area and works better. So, considering that, something that actually works is a much better value than having to go back and do resprays. You can't plant grass seed for months after application so use accordingly. A spot where I did not use this is pure crabgrass. It is very effective! Delivered quickly. Would order again. I used barricade before, but after use this dimension, I never any weed problem so far. The cost is more cheaper than other pre emergence herbicide, because does not need to re-application. save cost and labor. Thanks. perfect pre-emergent herbicide. best product I think.